Florida! The state of water! Yes, Florida is the state of water and fish. Fishing enthusiasts from all over the world flock to Florida not because of the endless sunshine rather for the range of diverse fishing opportunities. This state is often named as "The Fishing Capital of the World." So, now you know what specialty this state bears and why "Fishing in Florida" is a popular verse. In this state of fish, you will find an abundance of saltwater along with freshwater hot-spots so that you can keep your tour itinerary full! From the emerald and amazing water in the Panhandle to all the way down to the Florida Keys, there are countless fishing spots. Do you want deep sea fishing? Or do you prefer casting lines off the pier? This Sunshine State has got all the beauties and attractions. You can cast lines or go for deep fishing, you get all here! Are you a beginner or a seasoned angler? If you are in Florida, this question is not important. This is a place where anglers of any skill level can cast their lines. This state will afford you Panfish for dinner someday and the other day you can get monster bass. So pack your very favorite fishing gear and be ready for this adventure! But Florida is large. Where will you go for fishing? No more difficulties! We are here and for your convenience, we have prepared some specific locations in Florida for you. These are the most popular and highest visited zones of the state. If you are planning a trip to Florida then this will help you select the particular area where you to go for fishing. Key Largo! Don't you find the name to be so classy? Just like the name, we can assure that this fishing area will be your favorite venue to visit with your friends and family. This is not only an amazing place for fishing in this state but this is one of the best places where you can enjoy your journey with innovative outdoor games. The idyllic surrounding is not all you get rather with this you also get a number of expansive mangrove forests and flats. From the reef to the offshore fishing, you will get the chance of enjoying a vibrant fishing day in Key Largo! This is a must visit and highly exciting place for the anglers to visit. If you are searching for a range of different fish with a variety of colors then you are just in the accurate track. In the entire area, you will get the opportunity to find snook, tarpon, and bonefish. Do you want the homely feeling when you are out for fishing visits? If you are then Florida has a place that can provide you peace just like your home. This peace place is a small town named Cedar Key. This is a calm and peaceful place because you will get fewer people around you and so you can spend time peacefully with your beloved people. This area has residents less than 1,000, so you have already understood that this pacific place is to revive your mind and soul. The location is nestled among a bunch of small islands. Cedar Key has a long history that states it to be a fishing village. If you visit there, you will definitely find adequate spots so that you can cast the line. Exactly to the south of this place, there stands Seahorse Reef and this can be a famous area so that if you are a seasoned Gulf Shore fisherman you can enjoy it to the fullest. This area is covered with lush and long seagrass and in the Big Bend area, this Cedar Key is mentioned to be one of the best spots for launching points. From the Gulf of Mexico, shallow backwaters are filled up here. Catching a range of gamefish like Mackerel, Spotted Seatrout, Spanish and King Mackerel is a comment scenario here. One of the most famous tourist destinations in Florida is Key West! This Key West is a renowned place for the best fishing in Florida. This location in considered as the ultimate tourist friendly zone. You will definitely want a place to visit where you an enjoy variety of fish along with lakes and beautiful waterways and so here it goes! Key West is actually the key to the west and it will introduce you to fishes that you have never known. Ernest Hemingway was renowned for being in the community of fishing for many decades. What do you want, flats or offshores? Everything is here in this state. No matter what time of the year it is, Key West is ready with a number of fish to afford you the best experience of fishing in this state. Which fish do you want? Tuba and Marlin or Bonefish and Tarpon! All are available here along with the other saltwater fish. Guides are required for you so that you can know this place and so this place arranges an abundance of ship captains and guides so that you can hire them for your convenience. If you are interested in a range of other lands along with any water-based attraction then Key West is all you can want. No matter you are with your family or friends, go for this once and you will always remember the tour! Are you searching for a fishing spot where you can fish snook? If the answer is yes then go for Stuart! Yes, it is Stuart. This place is the heaven for fishes like snook. It is situated in the Eastern Seaboard of Florida, to be clearer it is exactly at the middle point of the Treasure Coast. Around the Stuart, you will find wide waterways that surround the location. This is a perfect fishing spot in any time of the year but to be specific you can settle on Stuart if it is Summer or Spring. During the summer and spring seasons, this place becomes the desired destination for the seasoned as well as the adventurous anglers. The city is dubbed as the "Sailfish Capital of the World" because the emblem of this state is a Sailfish. In the main town square, a huge fountain of a Sailfish that is jumping sits. This is the centerpiece of the zone. This area has 15 marinas ready so that they can take out charter and fishing boat fleets. If you are planning to make a tour to Florida, do visit Stuart. Though best fishing in Florida is a famous activity throughout the whole year, the picking season of visiting this tourist attraction is from June through July and December through March. This charming and interesting fishing town resembles the settlement of former Florida. This location is a tourist attraction and it is renowned by the name "The Gateway to Florida's Nature Coast." So now you know that if you are planning for Florida but not visiting it's most charming area then you are definitely going to miss so many things. This is a coastal village and the fishing potential of this amazing place is abundant. If you are up for natural beauty and peaceful evenings then this is a must-go place for you. The appealing yet peaceful water and the untouched nature and its beauty, no other place can beat this Steinhatchee. Though it runs fishing and other outdoor activities throughout the year, Spring is the most famous season if you want to catch-up underwater treasure. During this season, the seagrass of the place grows wild and so spotting Speckled Trout, Sheepshead or Redfish will be an easy task for you. How would you know the place? For your convenience and its reputed fishing community, Steinhatchee affords you a range of guides prepared so that they can provide you their best-kept fishing spots for you. Lake Okeechobee is a must-visit place. Are you going to Florida but not visiting its largest lake? No ways, right? Lake Okeechobee is the largest lake of Florida. This lake spans around 730 m2 and the depth is about 17 feet. For being the largest lake this place is well-known as a great table fish. It is considered for the premiere of the bass fishing zone in the entire state and this place is usually used for big tournaments. It acquires both campsites along with resorts and if you want to stay overnight, that is also possible. You will get an array of charters and guides for directing you the ideal spots for fishing. In the Eastern Atlantic Seashore of Florida, Lake Okeechobee is a true gem for being the solid selection for freshwater fishing. Do you have a love for antique? Do you want to visit the Spanish villages of the 19th Century? If you are interested in any of this then Cortez can gear up your enthusiasm a little more. In Florida, this is an undiscovered gem. This will exactly take you to the fishing villages of 19th century's Spanish settlement. This small town brims with a range of charm and provides you an unspoiled image of the Old Florida. If you are up for doing a fishing excursion that can meet the rich history then we can suggest you this tourist spot as this is one of the famous surviving fishing villages of the Gulf Coast. Here, you can uncover the ancient fish houses that belonged to the original families and you will also discover such state which is registered on the National Register of Historic Places. From these houses both grouper and shrimp are sold to the other local restaurants. Do you need a fishing license for fishing in Florida? People who are under 16 years old and are not the resident of Florida definitely require a fishing license. They are required to have Florida freshwater fishing, saltwater fishing, and hunting license. The fishing and hunting license of "out-of-state" will not be valid in Florida. A fishing license is required for attempting to take fish. 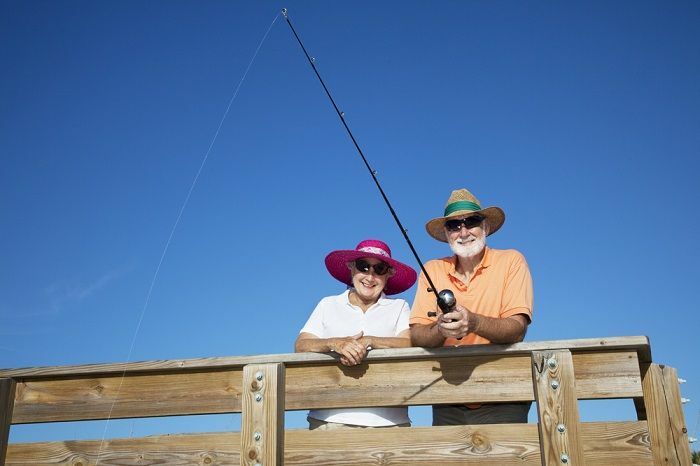 Do the senior citizens need a license for fishing in Florida? For the senior residents of Florida, it is not necessary to buy a fishing or hunting license. Residents who are of 65 years older or above can own Fishing Certificate or Resident Senior Citizen Hunting Certificate. They can also possess any proof of their residency and their age such as a driving license. Do you need a license for fishing from shore in Florida? The shoreline fishing license for saltwater is available for the Florida residents only. For the non-resident anglers, they have to purchase any regular license for non-resident saltwater-fishing. This will cost them around $17 for three days and $30 for seven days. For one year purchasing, the cost will be around $47 regardless of whether you are fishing from a vessel or shore. Florida is the contiguous southernmost city in the United States and the total area is around 170,304 km2. The population of this state is about 21,312,211. Around two-thirds of this state is occupying a peninsula between the Atlantic Ocean and the Gulf of Mexico. This city includes the longest coastline in the United States which measures approximately 2,170 km. Much of this city is at or near the sea level and so it's close propinquity to the ocean affects many features of Florida's culture. 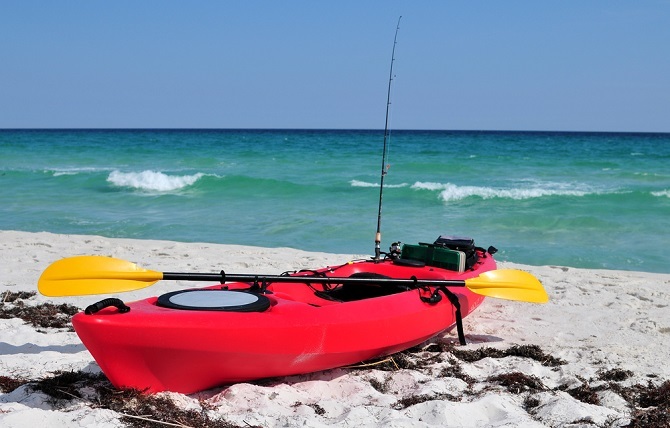 With this information, we can easily say that Florida is, of course, a fishing and kayaking spot. So, we hope it is easier than before to select the location of fishing for you, isn't it? We have presented 7 picks to visit if you are interested in Florida and we highly recommend them. It is up to you which one is your favorite. We have also presented the details along with the statistics and some frequently asked questions. Read out the details and settle for one of two places for your vacation with your family or friends. All we can do is lending you a hand to make your selection easier but the final selection will always be in your hand.